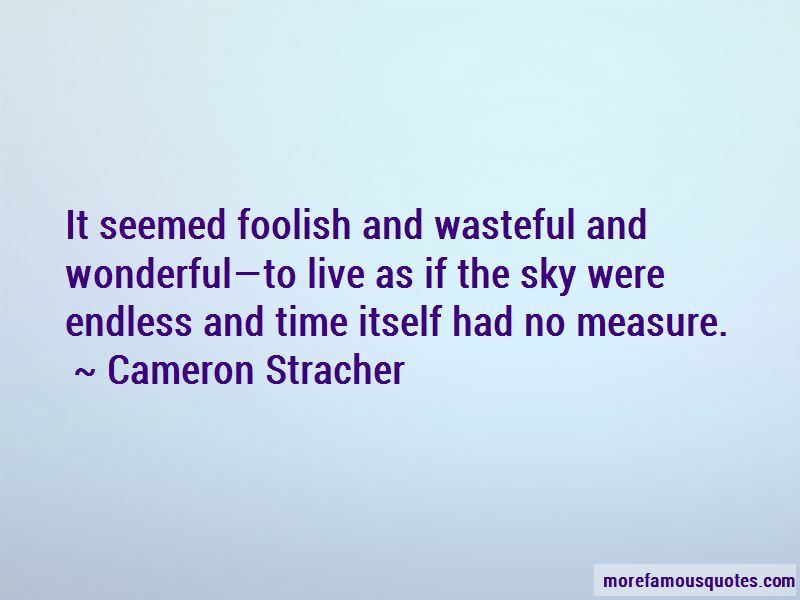 Enjoy the top 13 famous quotes, sayings and quotations by Cameron Stracher. 'But you said you were married,' said Will, glancing down at Ulysses's ring, smooth and lustrous in the half-light. 'I'll always be married. But it'll be the next world when I see her again. “You can't just fly into the Great Coat, shoot your way into Bluewater, and take Kai and his father,' I told him. people who couldn't afford different rules. It seemed foolish and wasteful and wonderful-to live as if the sky were endless and time itself had no measure. It made me angry that people could simply kill other people, take what they wanted, and ignore the cries of the sick and hungry. The world wasn't like that- or it shouldn't be like that-even though I hadn't seen enough of the world to know what it was really like. “You know how to fire this?" he asked. 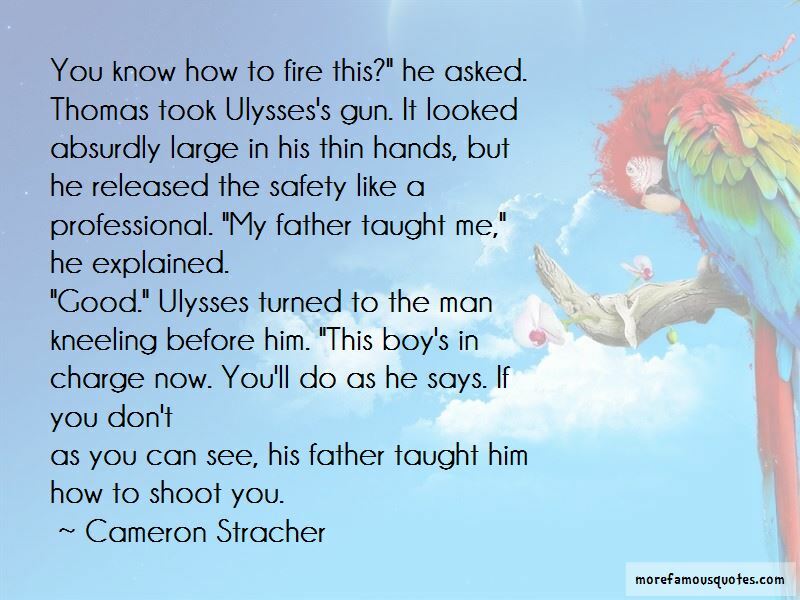 Thomas took Ulysses's gun. It looked absurdly large in his thin hands, but he released the safety like a professional. "My father taught me," he explained. 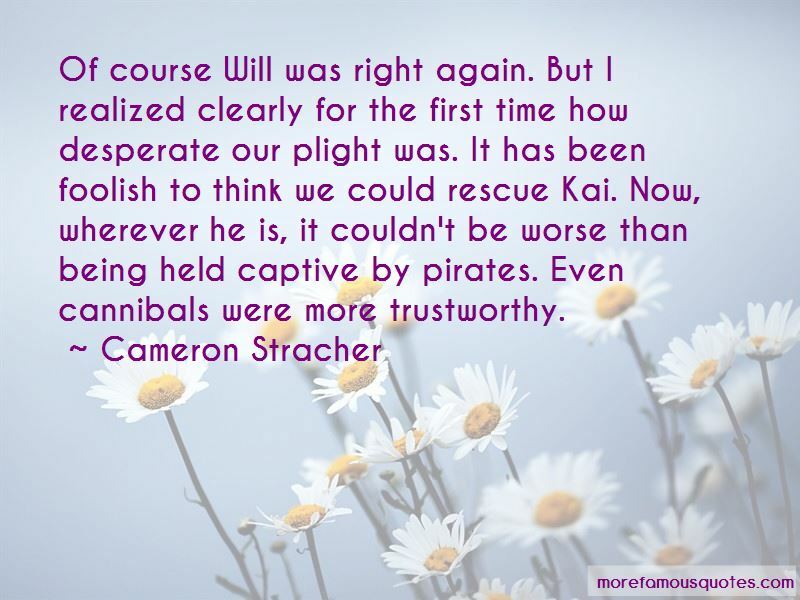 Want to see more pictures of Cameron Stracher quotes? 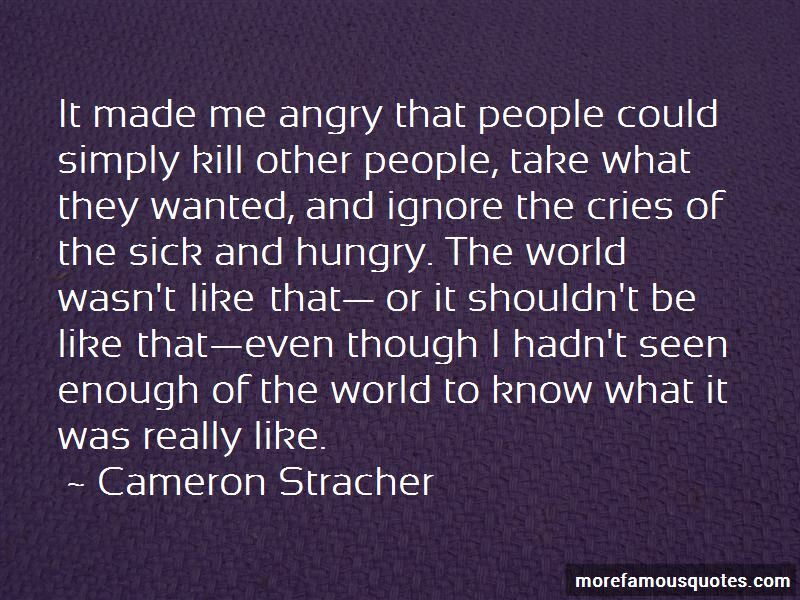 Click on image of Cameron Stracher quotes to view full size.